Thirty-two actual-sized colour scans from pages of 60s, 70s and 80s DC and Marvel comics. Comics piled alongside comics in this fashion are an overpowering sight. 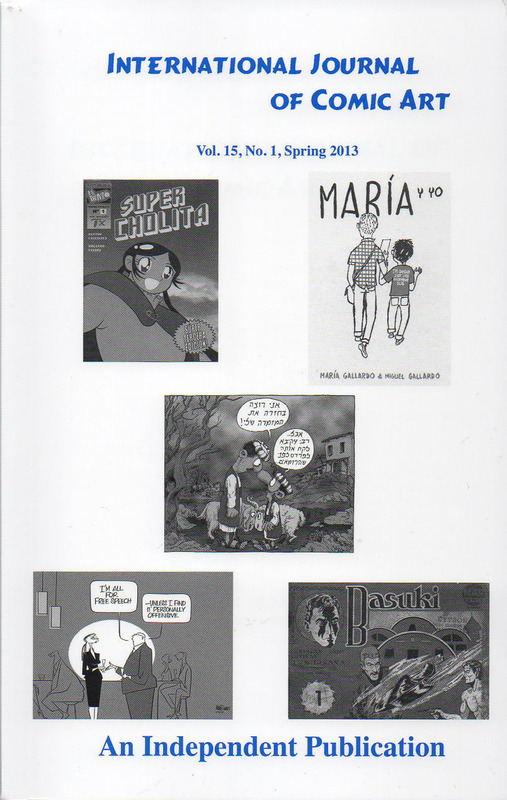 The new edition (Volume 15, number 1) of The International Journal of Comic Art (IJOCA) is out now. It has a couple of articles by myself in it. 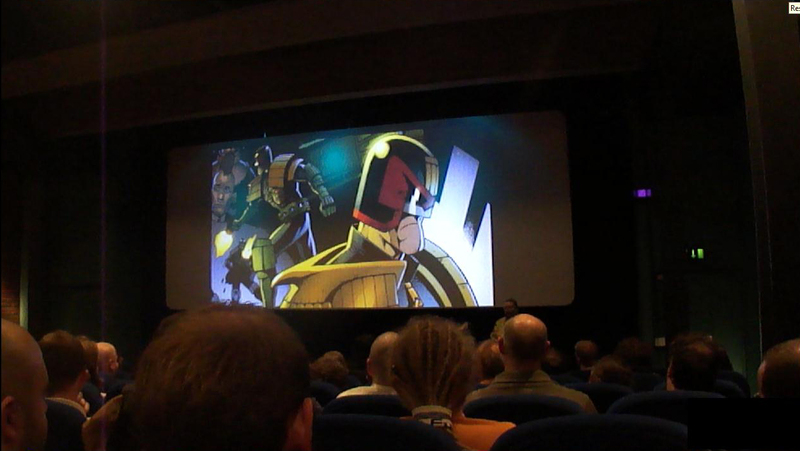 One is a report on a Dundee Comics Day 2011, and the other is on "Dredd at Dundee Contemporary Arts "in 2012. Paul Gravett with Jack Kirby backdrop. Robbie Morrison with Nikolai Dante backdrop. At the Dredd at DCA event, a looped slideshow of comics ran before the movie. I preferred them to the movie. More details of IJOCA can be found here. 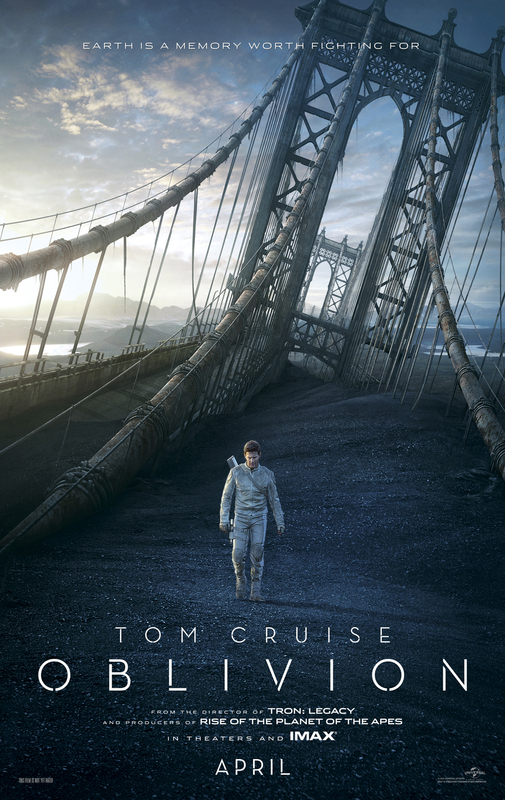 I watched a ten minute documentary/advertising show on Tom Cruise’s latest film Oblivion. It’s a science fiction movie, during which Cruise runs around holding an unwieldy gun. The film looks alright, I’ll probably watch it when it comes on telly. 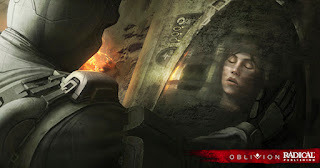 During his interview on the show, he mentioned that they were able to go much deeper into the story than in the graphic novel. "I don’t remember that graphic novel", I thought to myself. But that in itself isn’t overly strange. There are too many comics coming out all the time to be aware of them all. And it’s certainly possible that if I saw some solicitations for comics that looked like the promotional images for this film, they are exactly the kind of things I might ignore. There are also lots of comics chugging along in movie development hell right now completely unbeknownst to me. But by the time that Tom Cruise or similar has attached his name to a film based on a comic, one can’t help but continually be told about it online. So it was a bit strange I’d seen the posters of Tom on bus shelters before I’d heard of this comic. But then I read an article online that points out that Oblivion was never a comic. 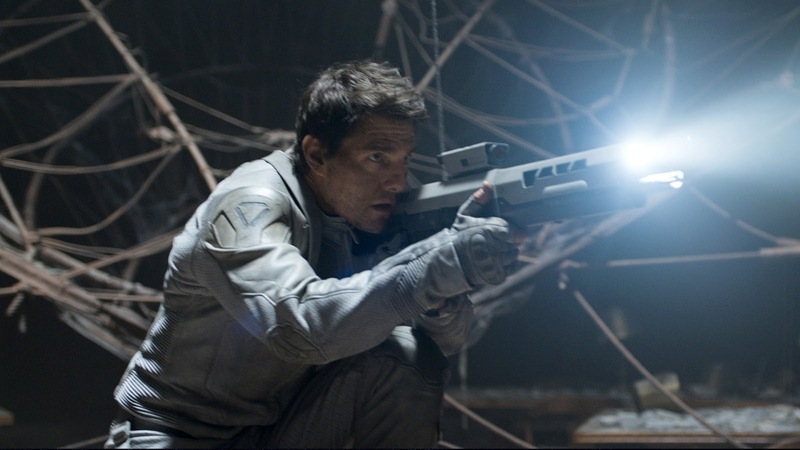 Director Joseph Kosinski pitched a brochure with concept art and an outline of a story as a graphic novel. 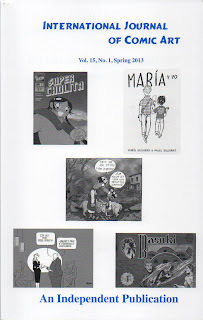 As graphic novels are seen as goldmines to base movies on, it seems that calling your pitch booklet a graphic novel is enough to get you in. 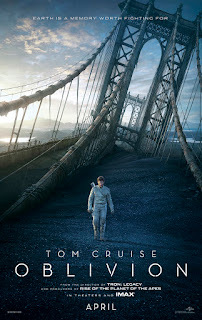 Tom Cruise will sit on TV and state outright that Oblivion is a graphic novel. He doesn’t know any better. This is the level of real interest that Hollywood has in comics. They don't even know what they are.